The women of India are well-known for having beautiful hair. Mix up some ingredients used in India for beautiful hair as an Indian herbal hair recipe for regrowth. The answer to regrowing beautiful hair just may be found in the ancient Indian healing tradition of Ayurveda. One such recipe involves massaging the scalp with a mixture of different herbal massage oils, which can help to purify the scalp and keep pores open. The following oils are believed to be beneficial to the scalp. Try using a mixture of a few drops of each oil in a carrier oil such as pure olive oil. Brahmi - This oil helps to calm the nervous system and nourishes hair by promoting overall thickness and body. Amalaki - This oil is a cooling oil that is believed to prevent premature hair loss and avoid premature graying. Hibiscus - This cooling oil helps to maintain color and promotes healthy hair growth by stimulating the hair follicles. Rosemary - Rosemary oil stimulates hair follicles, promotes growth and keeps hair from thinning prematurely. Lavender - The fragrant oil from lavender also stimulates hair growth. It also balances scalp oil production. Jasmine - Jasmine oil is a stress reliever. 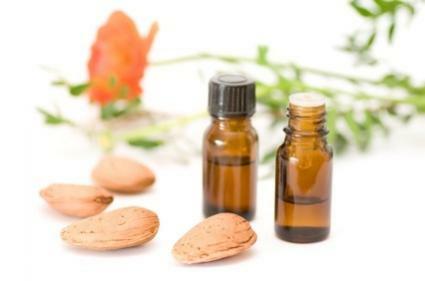 Adding a few drops of jasmine to a carrier oil can help to alleviate stress that may lead to hair loss. Add a few drops of each of the oils you will use into a bowl that contains a few tablespoons of olive oil. Gently warm the oil by placing the bowl in a larger bowl of hot water. Heat the oil until it is warm to the touch but not hot. Dip your fingertips in the warm oil and part your hair. Apply the oil to the part. Using the pads of your fingers (not your finger nails), work the oil into your scalp in a circular motion using a comfortable amount of pressure. Continue parting hair and massaging the oil into your scalp until you have covered your entire head and the back of your neck. Use vigorous motions if you want to increase your energy, and slower motions if your goal is relaxation. Once your entire scalp has been covered with oil, wrap your entire head with a warm, damp towel. Allow the oil to stay on your scalp for at least an hour and up to overnight. Shampoo the oil out using your normal shampoo procedure. Your local health food store may have Ayurvedic oils, but they are also available from a number of reputable online sources who sell quality Ayurvedic ingredients. Banyan Botanicals offers high quality, pure Ayurvedic products. Indian Hair Oil offers a number of oil formulas for hair, and also provides an information page about hair loss and regrowth using Ayurvedic principles. While there may be physical things that you can do to promote hair regrowth - including using the scalp massage recipe and technique above - there is more to hair loss than a simple mechanism. Regrowing hair requires a multi-faceted approach that involves making physical, emotional, mental and lifestyle changes that contribute to your overall health and well-being.